Eurocoating has been developing plasma spray coatings for medical application since 1992. We have a complete portfolio of coatings available for dental, spinal, trauma, and orthopedic applications, and have become recognized as a world leader in the biomedical thermal spray coating technologies. 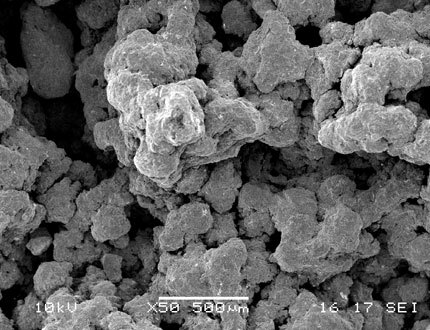 Coatings made of titanium (Ti) and hydroxyapatite (HA) can be supplied with different levels of porosity, thickness, and surface roughness. 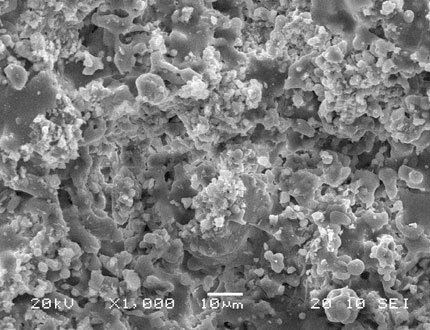 Typical substrates coated are made of titanium-based alloys, CrCo based alloys and stainless steel alloys enabling bone apposition directly onto medical devices such as spinal implants, trauma screws, acetabular cups, and femoral stems. Coatings are also available for polyetheretherketone (PEEK), a polymeric material having vast application in medical devices used for spine, craniomaxillofacial, and trauma surgery. Eurocoating air plasma spray (APS) Ti coatings have been used with clinical success for many decades. They are the most cost-effective solution matching the essential requirement of enabling long-term osseointegration of host bone tissue on the medical devices they are used upon. With higher purity and higher mechanical performances than previous APS-coatings, our vacuum plasma spray (VPS) coatings have a successful, long-term clinical history. VPS Ti coatings provide high levels of purity and good adhesion strength. Coatings with different pore sizes, porosity levels, roughness and friction rates are available. These features contribute to long-term device fixation by allowing bone ongrowth. 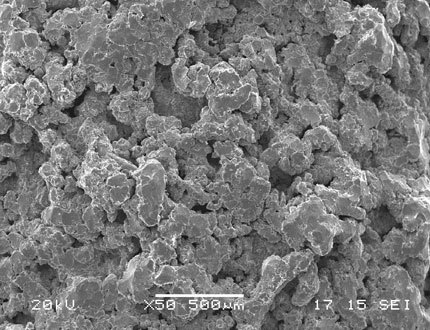 Our Hydroxyapatite (HA) coatings (Osprovit®) have widespread application on orthopedic, spinal, and dental implants, as well as trauma components. 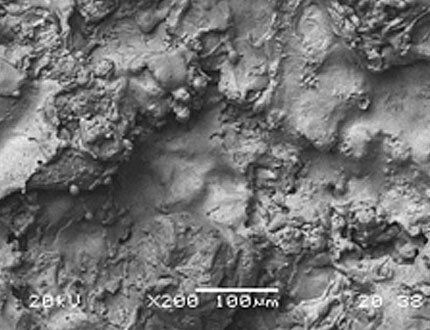 Our long-time experience in treating metallic implants with APS and VPS technologies was used as the basis for the development of a plasma spray coating family for the synthetic material polyetheretherketone (PEEK).